The Saudi legal system has a new outrage for the world. 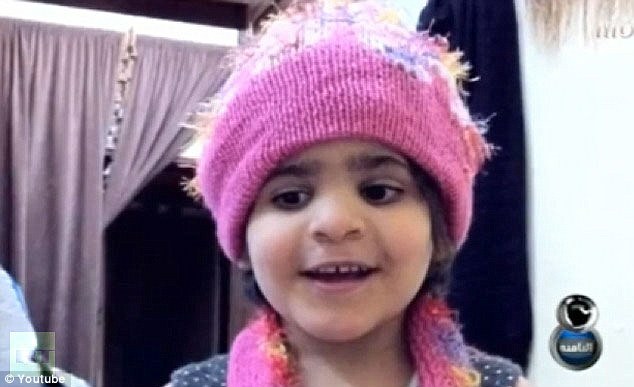 This case involves a prominent cleric who confessed to beating his 5-year-old daughter to death. 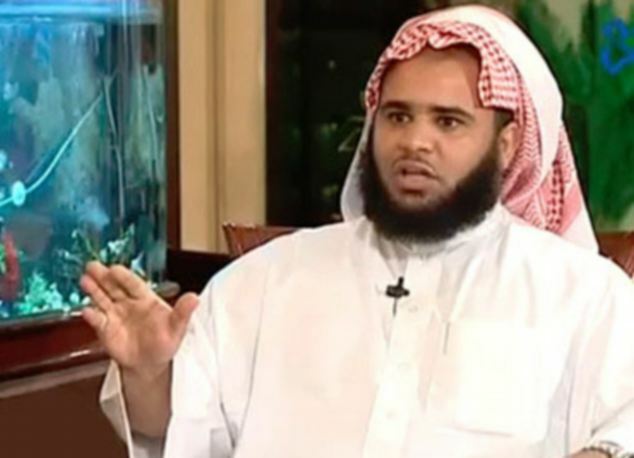 Reports say that Fayhan al-Ghamdi doubted the girl’s virginity. Various sources reported that she had a crushed skull, broken ribs, broken back, burn marks, and had been repeatedly raped, while others reported that Lama al-Ghamdi was raped and burned. Fayhan al-Ghamdi often appears on television to discuss Islamic and moral questions. He was freed after paying just $50,000 in “blood money” under the primitive Saudi legal system. Fayhan al-Ghamdi only spent a few month in jail and admitted to using a cane and cables to beat the child. Witnesses said that he doubted the five-year-old’s virginity and had a medic confirm her virginity. He agreed to pay her mother the blood money and the Saudi judge declared that that was sufficient punishment for the cleric. By the way, the $50,000 is the going rate for a girl . . . a boy is twice as much under the sexist Saudi laws. Of course, they are still cutting off the hands of thieves in the Kingdom and imprisoning fortune tellers but beating your five-year-old daughter to death is a matter for a simply money order. The continued reference to this as a “legal” system and these individuals as “judges” degrades the entire profession. Here in the Enlightened USA it would have been OK for this child to have been pulled apart and her remains sold to a medical supply house if she was still in her mother’s womb. How can a nation of babymurderers claim to have any moral standing to condemn this murdering thug? Hey Stupids….dont publish…unfact stories…..you have to check either this story is right or wrong..? the guardian of truth would then know that it should never disagree with GOD. it is written in Mayan Prophecy that a white man would come in the end of times. did any christians inform the Mayans that the Mayans ARE correct? did any church blow Gabriel’s Horn? it’s written that the church, and the antichrist would assume the powers of god. You could not be more wrong. The devil watches the ticking of the clock thinking that his end will be any second on that clock perishing in Gods glory seeing it as hell = a devouring fire.. That is what religions did not want you to know. How can trembling fear anticipating their ultimate end have any faith in it? Sarlacc would be too good for him. Satan is in him willingly doing to that girl what the devil in the devils jail wants to do to God not able to get near to his glory, and live. Satan out of frustration lashes out against souls in his unseen jail. Lost souls in the devils jail are waiting for their end of all ends. NDE people seeing that jail think they are seeing hell. I disagree, the devil has faith in and of itself. You could not be more wrong. The devil watches the ticking of the clock thinking that his end will be any second on that clock perishing in Gods glory seeing it as hell = a devouring fire.. That is what religions did not want you to know. How can trebling fear anticipating their ultimate end have any faith in it? yes, the devil is faithless. This is purely culture, don’t confuse to faith. This is madness, a five years old girl? She is martyred. The Person doing what he did to that five year old gave what was already in him taught to him from a faithless religion. The devil is faithless. but every dog has his day and, I know the commerecial is out there. sew, sue baaaaaa ruse. sew, if you think you think so clearly how did the angels get by you when it has wings and no air in space. wouldn’t a U.FO. would be far more efficient? I have seen shows about them. what would oxygen deprivation do when JESUS was taken up into the Heavens as written. (hic) I tell the atheist how to destroy all religion and even they deny the truth. hic! WHO MAKES YOUR LAWS? AND WHO CHANGED MINE? GOD went commerecial and got nothing as written. so why do you complain to your elected officials who go to church, and follow Your churches that deny GOD. after all every government does the same. their goverment is cliaming ALLAH. WHO MAKES THEIR LAWS, AND, WHO CHANGED MINE? Saudi legal system teaches nothing that is good to save the soul. Islamic law does not do that either. That is why we see what we see. When are decent americans and swedes going to cleanse their own houses. Sadly, the top headline today in the free Swedish paper Metro, is about a 70-yearl old man who sexually molested a five year old girl that he was babysitting. Not relatives. I would castrate the cleric and feed the dogs. Followed by his entrails, inch by inch. Where the dogs fight and pull them out themselves. Blood money is an option of mercy to a criminal that gives the victim a n opportunity to get some compensation and be merciful. . The mother accepted it. It is a variation on what has been and is done all the time in the West with lawsuits. It mixes the criminal ansd civil penalties and obligations. Not knowing more, my objection is that society still has to deal with him. It is time for the US to run not walk away from the houseod Saud. Saudi Arabia is a vile place because of the authoritarian gang that runs it. They sue religion to excuse their excesses just like this so called “cleric”. We protected them from Sadam. Why did we do that? Treasure and lives to protect this king of system. Treasure and lives to protect a familynthatnhappilu provides money and support tonthenworst of the worst. As to this “cleric”, stoning anyone? That certainly would be a punishment he would heartily support. One can hardly imagine the pain and fear he subjected his own daughter to in her last hours. This is the face of evil.